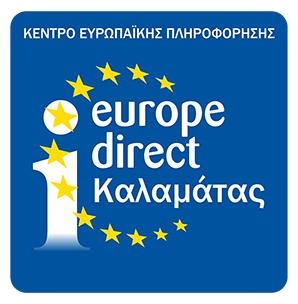 The EUROPE DIRECT Information Center of Kalamata, located in the premises of the Cultural Foundation « Routes of the Olive Tree » , forms a part of the European Network of EU Information Centers which consists of 500 Centres in Europe and 19 in Greece. Its mission is to provide information, advice and guidelines regarding European matters. Concretely, it provides answers to citizens’ questions and enables their communication with EU organizations/bodies & European Information Networks on specialized questions (practical issues, living in the EU etc.) It also organises open information events on European affairs. Finally, it is a documentation center providing information material and publications on EU policies, activities, projects and initiatives.